Here in Sweden Easter is when we first get a real feeling of spring in the air. One of the traditions I love the most at this time of year is to bring branches into the home and let them bloom. A couple of weeks ago, my parents brought us some apple branches from the country and they are now blooming and lovely! Alec says he “can’t wait until the apples start to grow in our living room”. 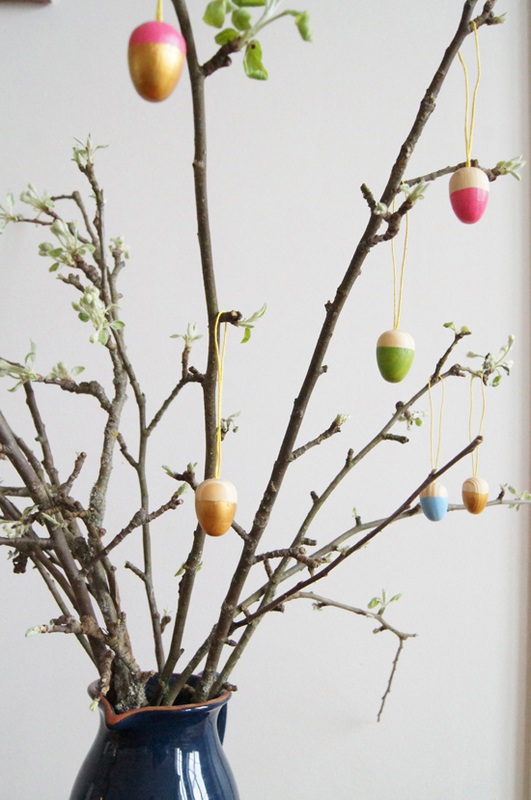 For Easter we Swedes decorate our branches colored feathers and little Easter ornaments and it makes me happy every time I pass our spring branch bouquet! 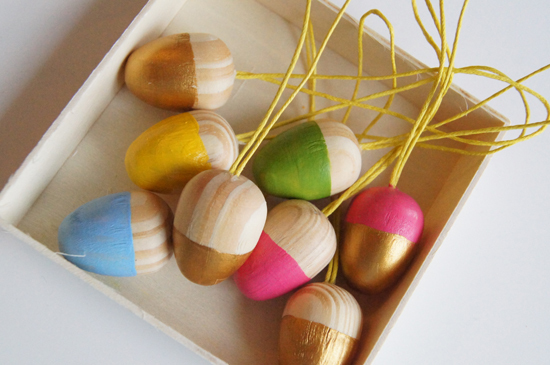 This year, I found some lovely little wooden eggs in the craft store and Alec, Louis and I had a great time painting them. 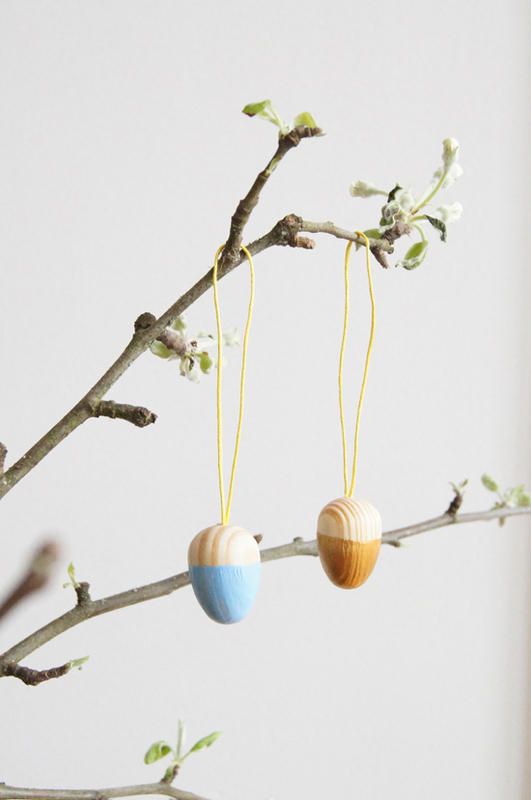 Since I love the look of the natural wood showing through, I decided to keep it simple and give my eggs a dip-dyed effect. I’ll save you the tutorial, because of course it couldn’t be easier: I just used craft paint and a little brush to paint the bottom half of my eggs. I think they turned out fabulous! 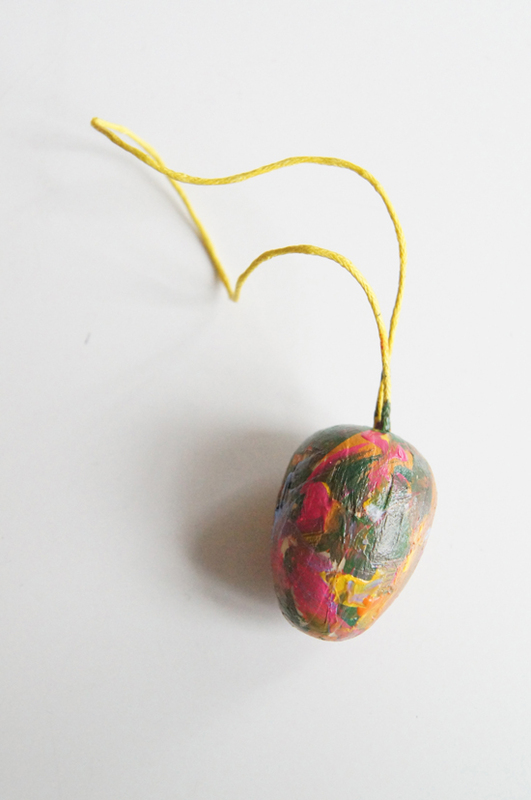 Of course, the coolest little egg hanging on our branches is the much less minimalistic one Alec painted. He was at it for ages and it turned out so great! What a little artist! 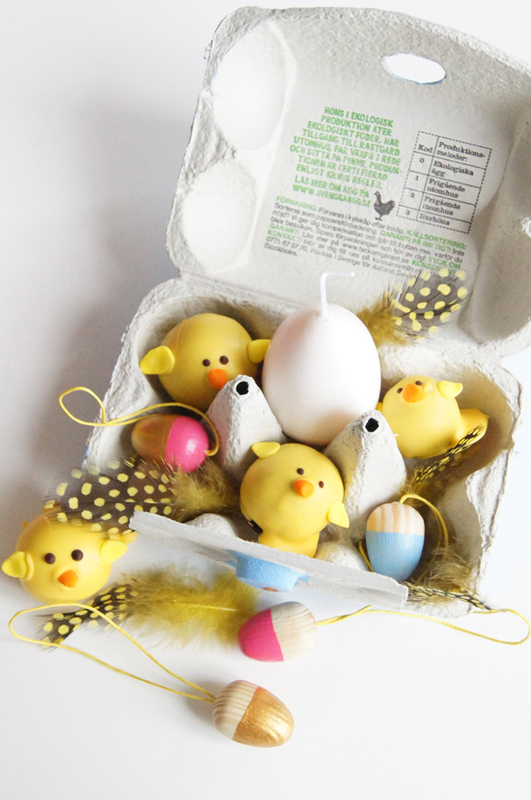 We’re putting some of our painted egg ornaments in egg carton gift boxes as Easter gifts (together with these Easter chick cake pops). 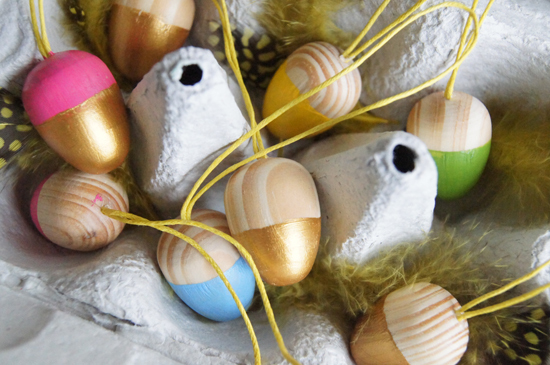 Today, all of us bloggers in The Creative Collective Sweden are sharing something egg-themed to make for Easter. 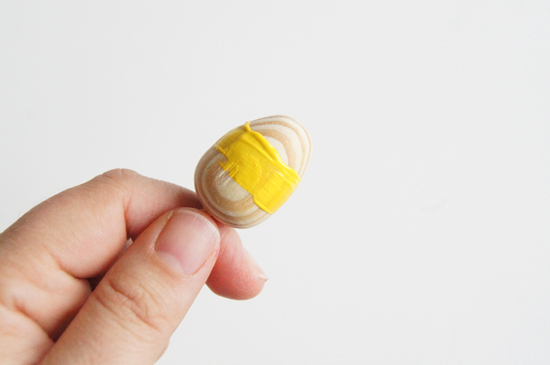 Join us by posting what you make for Easter using the hashtag #tccseaster. We can’t wait to see what you’re up to! The Creative Collective is made up of: Willowday, Mormorsglamour, Craft and Creativity, Hemma med Helena, Pysselbolaget, Lina by the bay, Pastill, Mini Piccolini, Hildas Hem, Made by Mary. Hurry to our blogs to see what we’ve made for today! 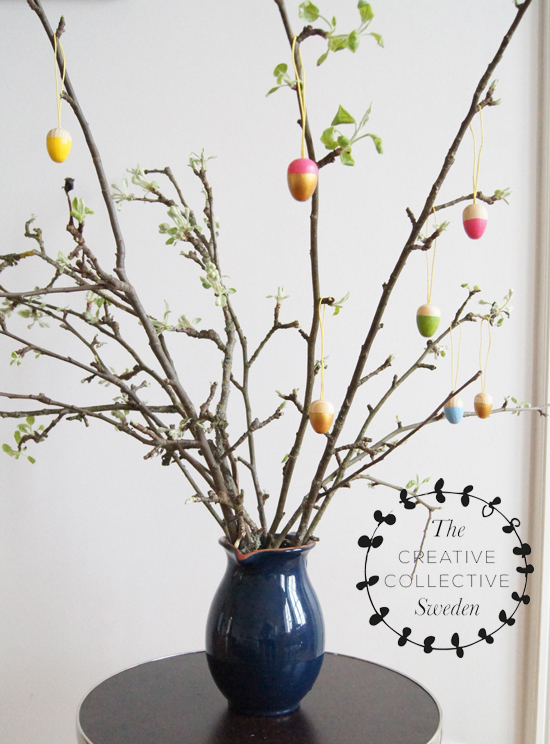 Also, more about how we celebrate Easter in Sweden, and an easy spring brunch.